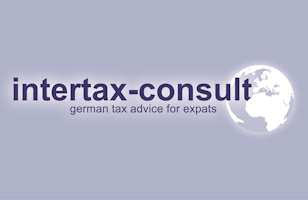 If you want to evaluate intertax-consult please fill up this formular and click “Send Evaluation” at the end. Thank you! A few more words: What did you like most? Any suggestions or improvements? Notice: Our editorial staff can only send you an email with a link to your evaluation on pro-regional.de if you send us your email address. This way you can peruse your information provided. We guarantee that your email-address will not be published in any case. 2.) Being contacted by pro-regional.de (email/phone) only in relation to my evaluation and its truthfulness, objections against the evaluation, information on the evaluation. This confirmation can we revoked at any time; the legitimacy of the published information until revoking remains valid. You do not have a right to claim publication. Your data will not be forwarded to third parties at any time. You will not receive any ads or similar. More information on data protection: www.pro-regional.de/datenschutz/.